McGee brings a wealth of consumer industrial knowledge having worked in Unilever, Avon and, most recently, McBride as Chief Operating Officer. He has extensive knowledge and expertise in supply chain, manufacturing, customer focused innovation and implementing business process transformation in global (including Polish) companies. 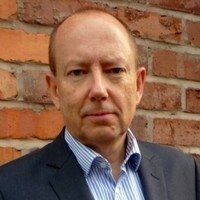 Halton has held key senior executive positions at well-known British brands, including as Chief Executive Officer of Molton Brown. She brings a wealth of experience in driving strategic growth for global brands. Sara is a Chartered Accountant having gained MSc in Economics and Econometrics, and BSc in Economics, at the University of Southampton.